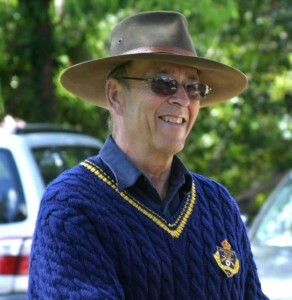 In memory of Jan Wikström (1938-2008), the ex-captain of Roseville Rifle Club, who back in 2008 floated the idea of building our own electronic target system. As a result of Jan’s inspiration, two qualified professional engineers – one of them a Rosevile Rifle Club member – founded HEX Systems in 2009. The main objective was to create a cost-effective electronic target system that would have much greater reliability and accuracy than was currently available on the market. The failure of the electronic targets at the Delhi Commonwealth Games in 2010 highlighted the need for such a product. Into the mix went a large dose of natural engineering curiosity and the shooting sport enthusiasm of the company’s founders. After two years of extensive development and testing – with invaluable help of Roseville Rifle Club members – they were rewarded in January 2011 with a successful trial of the first production system at the Hornsby Rifle Range in Sydney.